This Grundtvig programme seeks to respond to the challenges raised by the necessity to update knowledge and to provide adults with pathways to improve their know-how and competences, as they progress through life so that they can adapt to changes in the labour market and society. Grundtvig focuses on all forms of non-vocational adult and continuing education. It is targeted at learners, teachers, trainers and other staff in adult education and the educational institutions, organisations and other bodies offering and facilitating such learning opportunities. The objective of this action is to help improve the quality of lifelong learning by enabling persons working in adult education institutions, in the broadest sense, or engaged in the training of such persons, to undertake training of up to six weeks in a country other than that in which the participant normally works. In this way, participants are encouraged to improve their practical teaching/coaching/counselling skills and to gain a broader understanding of lifelong learning in Europe. We would like to invite you to the following international courses for professional and personal development at Glotta Nova in Ljubljana, Slovenia. Applicants can therefore apply for grants to cover up to 100% of travel cost, accommodation and course fee. 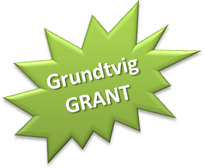 More information on the next steps to take in applying for Grundtvig grant is available here.